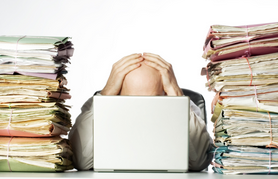 Inefficient processes plague accounts payable (A/P) operations. These inefficiencies make their way to the bottom line, increasing costs and spurring management to react with cost-cutting measures. So what are the six worst habits of highly inefficient A/P offices? Inefficient A/P departments are mired in paper, resulting in time wasted filing, retrieving, faxing, copying, mailing or looking for documents that have been misplaced, misfiled or lost. According to The Aberdeen Group, it may take up to 16.3 days to process a single invoice when an office has minimal business process automation. Combine paper volume with low levels of automation and the result can be a productivity quagmire. Lack of visibility often starts with the invoice receipt process. Typically, invoices are sent to business managers or field offices rather than to the A/P department. Invoices might sit on a manager’s desk for days, if not weeks, resulting in unnecessary rushing when business managers demand quick payment to maintain supplier satisfaction. Keying errors, matching errors, and lost and misfiled documents impact service quality, irritate vendors and aggravate business managers. Business process automation can help reduce errors by automatically extracting and entering invoice data. Whether it is supplier names, invoice numbers, invoice dates, invoice amounts, PO numbers or specific line items ordered, business process automation significantly reduces the number of data errors when compared to manual data entry. 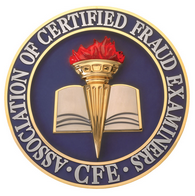 Organizations lose an estimated 5 percent of their annual revenues to fraud, according to a report published last year by the Association of Certified Fraud Examiners (ACFE). With business process automation, you develop standardized processes for commonly performed tasks, reducing costs and opportunities for fraud. 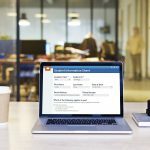 In addition, standardized workflow processes enable A/P departments to demonstrate compliance with corporate policies, especially when it comes to invoice authorization prior to payment. Creating an environment with effective internal controls is generally less expensive than having to detect them after the fact. 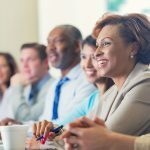 W. Edwards Deming is often incorrectly quoted as saying “you can’t manage what you don’t measure.” (In fact, he actually said that one of the seven deadly diseases of management is running a company on visible metrics alone.) Finance managers need in-depth information on departmental metrics to accurately determine productivity and identify bottlenecks. With business process automation, it’s easy to collect these metrics—including the cost of processing an invoice, cycle times for PO and non-PO based invoices, user throughput, workflow throughput, queue throughput and user productivity. The biggest hurdle to productivity is the fact that A/P processes are often too complex—too many disparate financial systems, too little standardization and too many manual steps. Add in interruptions resulting from rush-check requests, “where’s my payment” supplier inquiries and other issues demanding quick resolution, and it’s no wonder that A/P productivity suffers. Business process automation enables stronger internal controls, improved quality, significantly reduced errors such as duplicate payments, over payments and fraudulent payments, and capture of early payment discounts. Payment disputes can be more quickly resolved, eliminating late payment penalties.